Getting the best from your high strength bonding tapes and adhesives starts with a clean surface. Traditional spirit-based cleaners are slow to evaporate, leaving a residue, but with NovaBond Surface Cleaner, all that’s left is a surface that’s ready to stick. Oil, grease and dirt are the enemies of adhesives. The cleaner your surface, the better the bond strength. 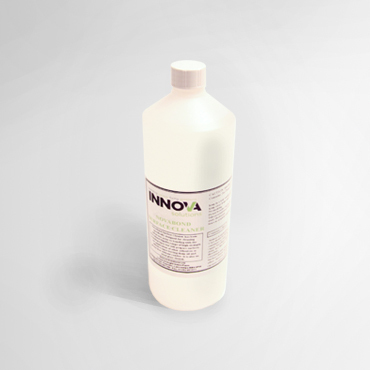 NovaBond Surface Cleaner has been specifically formulated for use with NovaBond high strength bonding tapes, though you’ll find it’s compatible with most advanced acrylic adhesives and adhesive tapes. It‘s residue-free formulation makes it an excellent glass cleaner too. You need no specialist equipment to apply, it’s fast acting and easy to use. Surfaces to which you intend to apply high strength bonding tapes and adhesives. Apply NovaBond Surface Cleaner using a clean, dry, lint-free cloth, wiping in a single direction. Occasional skin contact with NovaBond Surface Cleaner should have no adverse affect. Avoid prolonged soaking or repeated contact. Please note: The above guidance does not constitute a Material Safety Data Sheet (MSDS). For handling, storage, composition, disposal and safety information please ensure you have read and fully understood the NovaBond Surface Cleaner MSDS.